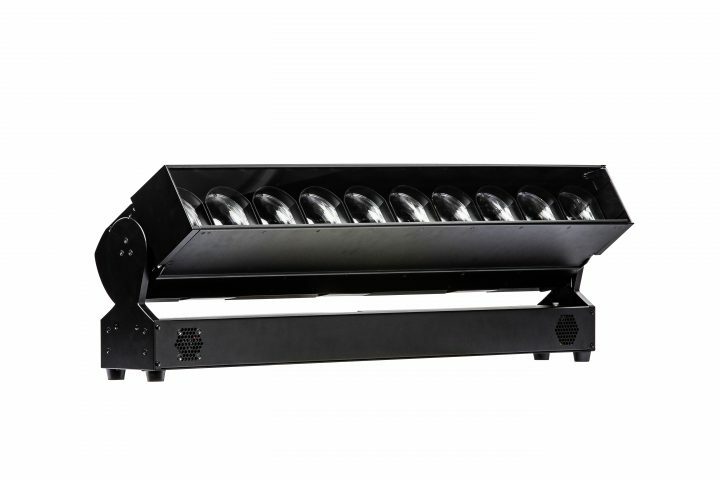 This accolade lined up alongside PLSN Magazine’s Gold Star Award for Best Stage Effect, adjudicated for the Force 120, having picked up a similar PLSN award last year for the JDC1 hybrid strobe. 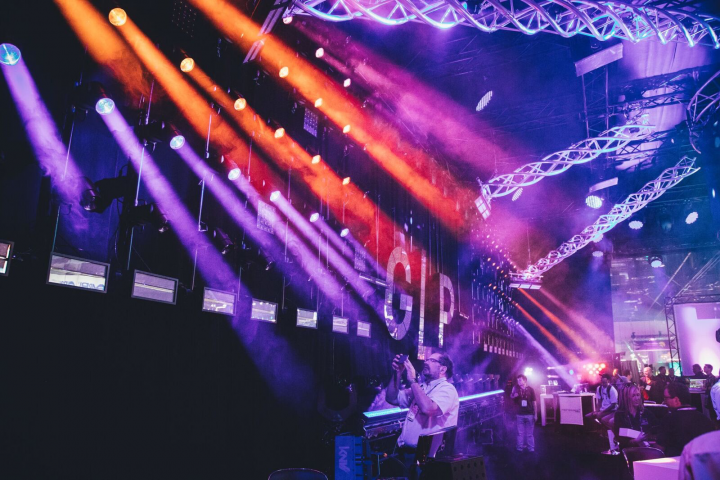 Completing the trio of top nominations was Live Design’s Lighting Product of the Year Award for the JDC1, which was presented during a show in which the GLP booth was packed from beginning to end. It was a fitting way to celebrate the show’s 30th birthday. 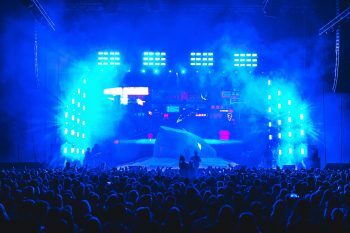 These products, and many other groundbreaking FX, were both on static display and incorporated into a mesmerising light show, while the awards provided the cherry on a glittering booth, designed and programmed once again by Matt Shimamoto (Volt Lites) in conjunction with GLP Inc president, Mark Ravenhill. 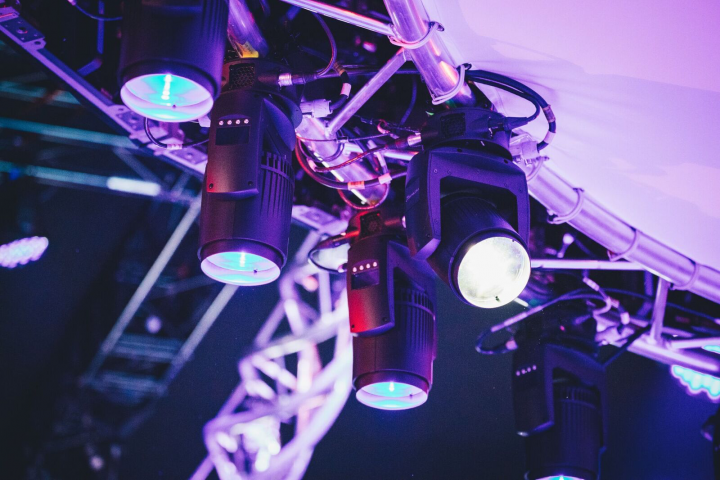 The product array included such showstoppers as impression E350 and S350, KNV Cube and KNV Arc, impression FR1, X4 atom Rackmount PSU and products from distributed brands, Cosmic Truss and Scenex Lighting. 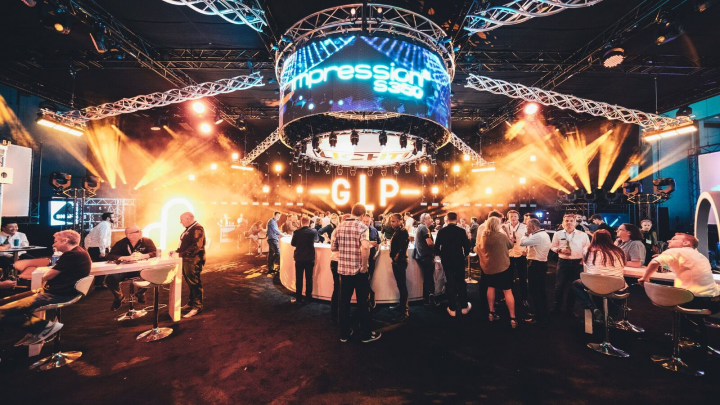 Another change for GLP this year was the adoption of a rolling presentation, whereby customers were presented with one of GLP’s new products at regular intervals without interrupting the collective ambience and hospitality of the booth. “This worked extremely well,” added Ravenhill. Away from the booth, GLP were present at the inaugural KOI (Knights of Illumination) Awards, staged in conjunction with the show. 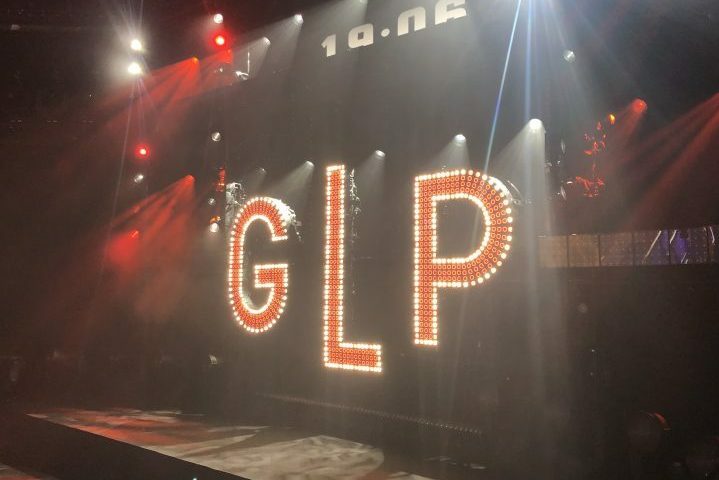 They sponsored the GLP Award for Arena, presenting it to LD Andi Watson, a regular user of GLP fixtures, for Radiohead’s W.A.S.T.E Tour 2018. It was about the only time Mark Ravenhill managed to leave the booth during the three days. 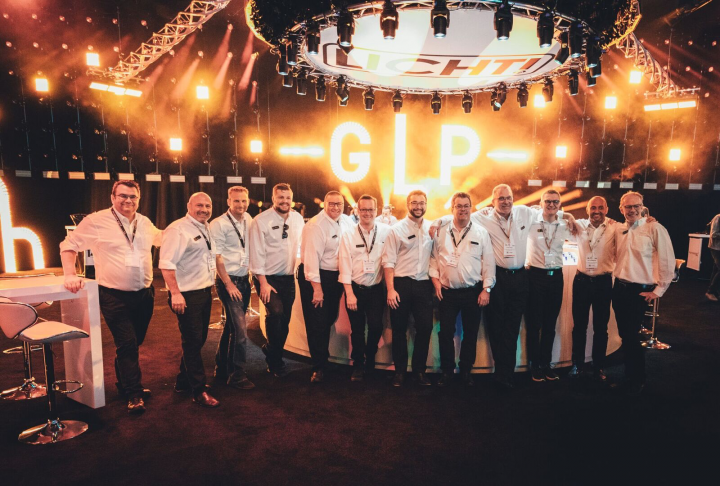 His North American GLP Inc team were in non-stop action, well supported by senior members of the parent company in Karlsbad, including MD Udo Kuenzler and Olli Schwendke. “It was a massive team effort by everyone responsible for getting the lighting in, up, down and back again,” Mark Ravenhill stated in conclusion. Plus, of course, ensuring the customers had full exposure to, and understanding of the ground-breaking attributes of their award-winning suite of products.